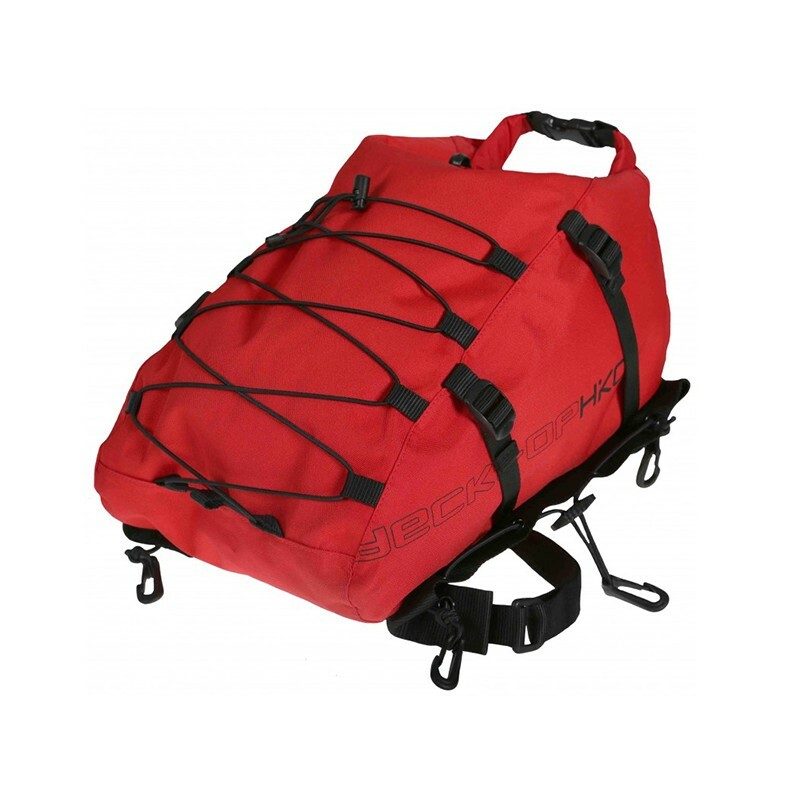 Water-proof deck bag for items that you need easy access to. Fastens to deck with elastics with plastic carabiners. 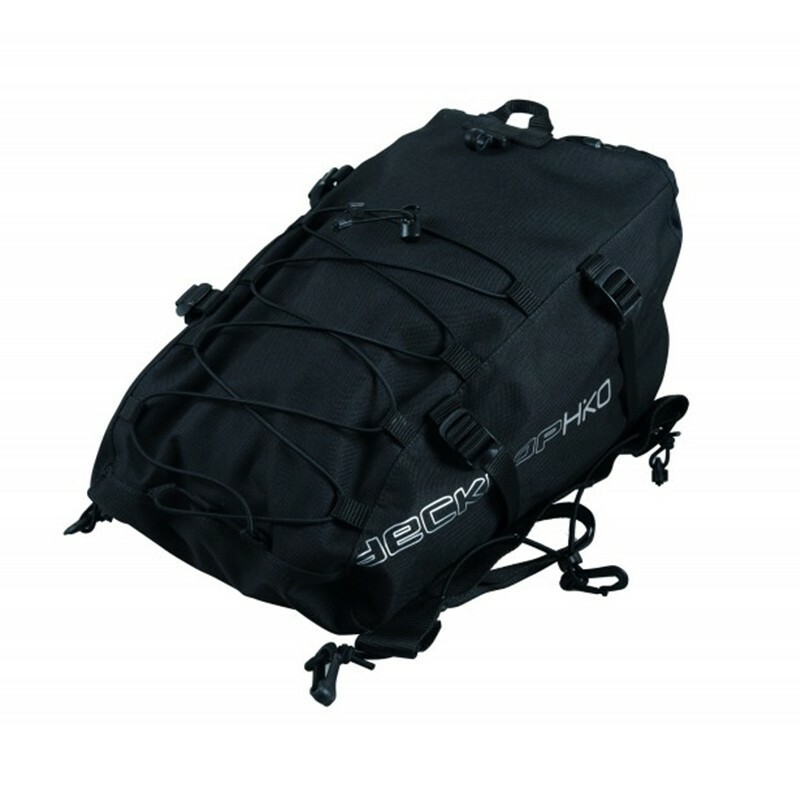 Roll top design makes it versatile to fit many different item and has elastic webbing on top for extra storage. 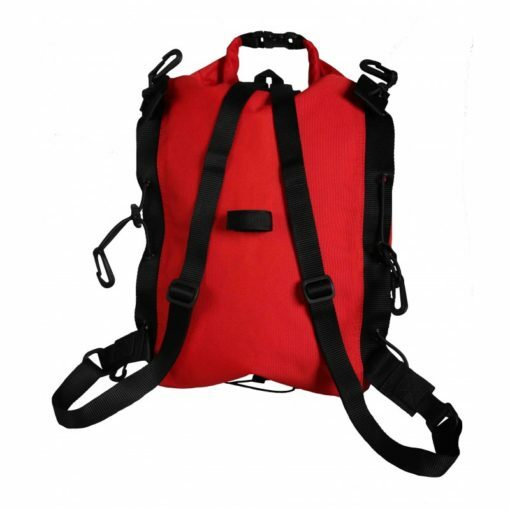 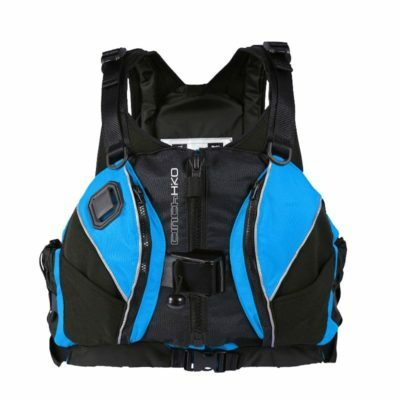 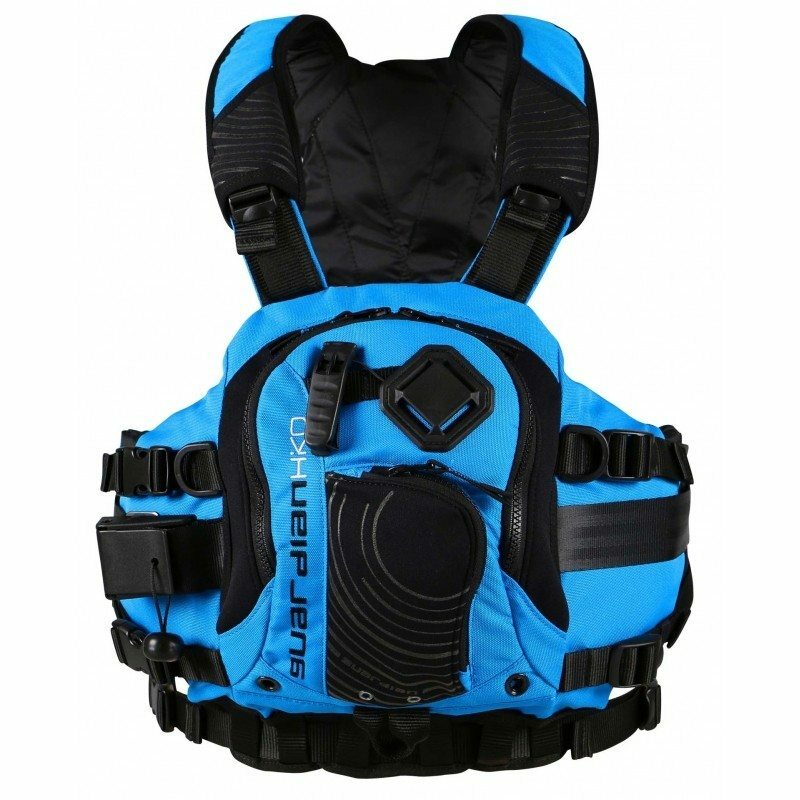 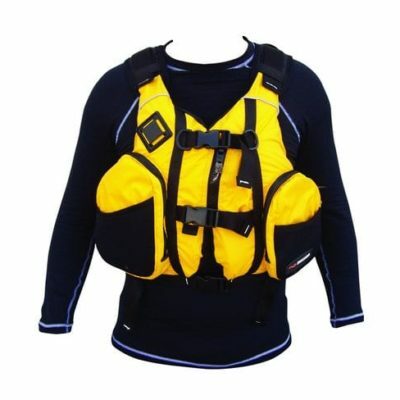 The design of the bag protects it from water when it is open on the deck and backpack straps on the reverse make it super easy to take from water to land.